Use this website to quickly find the most important information about Saudi Arabian airport, Jeddah Airport: Flights (Departures, Arrivals), Parking, Car Rentals, Hotels near the airport and other information about also known KAIA Airport. Plan your travel to Jeddah Airport with the information provided in this site. Jeddah Airport (IATA: JED, ICAO: OEJN), officially named King Abdulaziz International Airport or simply KAIA Airport, is the international airport serving the city of Jeddah in Saudi Arabia. 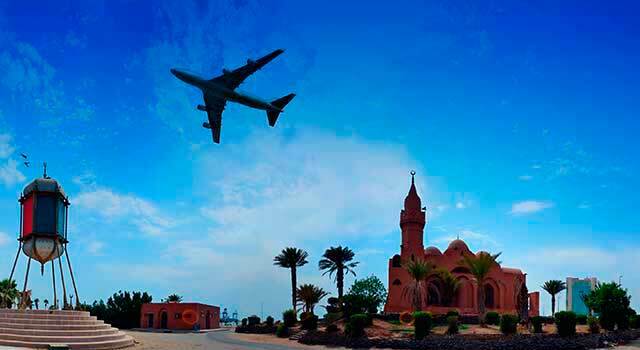 Is the busiest airport of the country and is located 19 km far away from Jeddah city. Jeddah Airport (IATA: JED) is the busiest airport in Saudi Arabia. 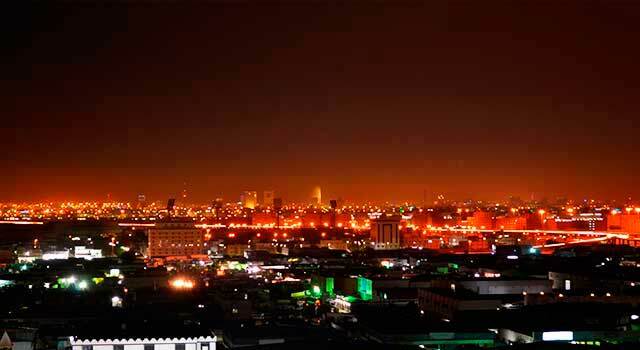 The airport is located 19 kilometres north of Jeddah. KAIA Airport served 34 Million passengers in 2017. There are three terminals in Jeddah KAIA Airport: North, South and Hajj. 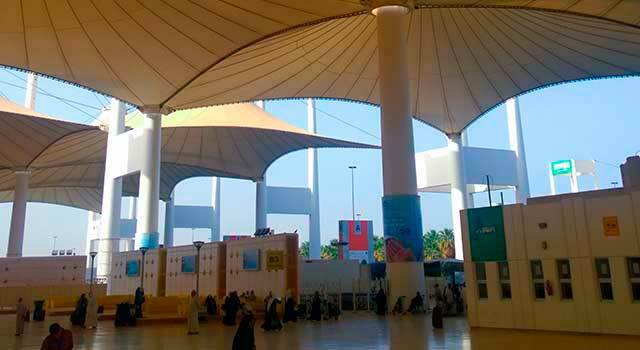 The main terminal in Jeddah Airport is Hajj Terminal, serving pilgrims to Mecca. 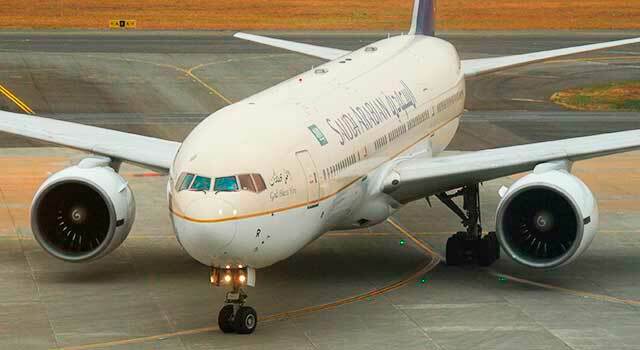 Saudia is the busiest airline at Jeddah Airport managing flights with more than 80 airlines during all year. 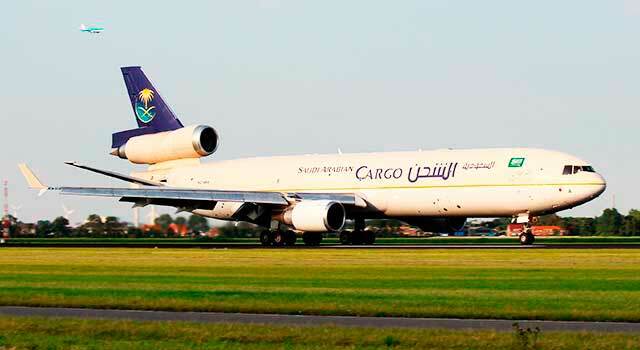 Most airlines that operate at JED Airport has seasonal and Hajj flights. JED Airport serves as a hub for Flynas and Saudia airlines. The terminal is also used by Garuda Indonesia, Korean Air and Kenya Airways. The North Terminal at Jeddah Airport is used by all other foreign airlines. In 2017, Jeddah Airport handled more than 34 million passengers, and there’s planned a future project that calculates that the airport is going to be able to handle 60 million to finally manage 80 million passengers per year. Jeddah Airport has three terminals: North Terminal, South Terminal, Hajj Terminal and an exclusive VIP Terminal. - North Terminal: Handles all international flights. - South Terminal: Handles all domestic and some international flights. - Hajj Terminal: Handles passenger pilgrims that annually travel to Mecca. - VIP terminal: Only reserved for the use of kings, heads of state, official guests and other VIPs. Unlike other airports, King Abdulaziz Jeddah Airport only allows to enter to the buildings airport passengers. Non-travellers are banned to enter to the arrival halls or the departure area. Some areas and facilities are separated between men and women. Economy class passengers can pay to use one of the first class lounges. There is an Airport’s Hotel next to Jeddah Airport and there are some in its surroundings. Free WiFi is available at Jeddah Airport in the North and South Terminals. Most airlines that operate at JED Airport have seasonal and Hajj flights. Hajj flights attend the Islamic pilgrims that go to Mecca, more than 80,000 passengers annually at the same time. - Bus: Some public buses link Jeddah Airport to Jeddah, Makkah and Medina. - Taxis: Taxis wait outside King Abdulaziz Airport Jeddah facilities. Taxi rates are fixed and we recommend you to confirm the taxi fare with the taxi driver prior your departure. Please, make sure that you are picking up a licenced taxi. - Limousine: Some different limousine companies offer their services to passengers arriving at Jeddah Airport. The limousine offers fixed rates according to the distance to various residential and business areas. The majority of these limousines provide transportation to Jeddah, Makkah and Medina. - It has 3 Terminals: North, South and Hajj. - It has an exclusive VIP terminal for kings, heads of state and official guests. - Hajj Terminal can handle annually 80 million pilgrims that go to Mecca.